Cobblestones pressed under my tired feet as a constant reminder of the ancient path I was treading as I wound my way around another narrow street. 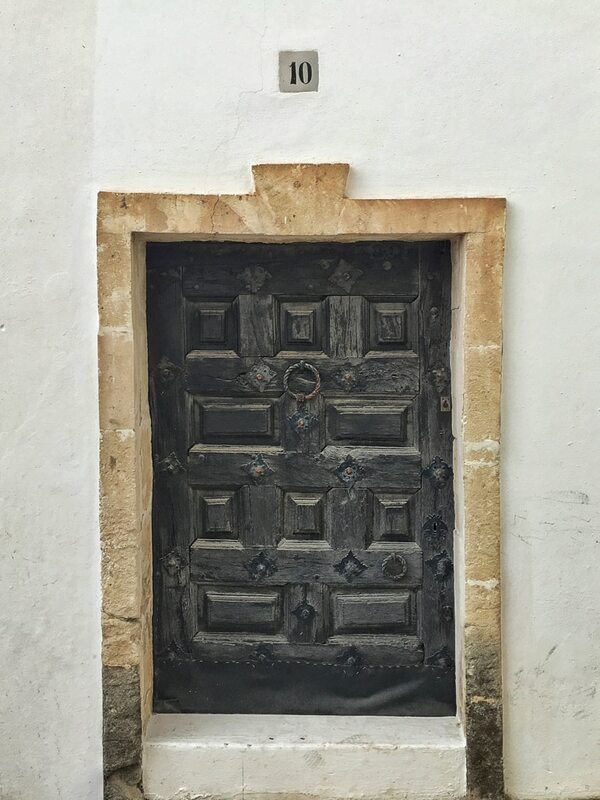 I was in one of the oldest towns of one of the loveliest islands in Spain – Ciutadella, Menorca. There was a whisper under each archway, an echo of times past seeping from every wall, and each roughly hewn door. Its streets telling a story common around the world. It’s the story of a past, but not forgotten, greatness. Of a time when Ciutadella was the place that people flocked to. 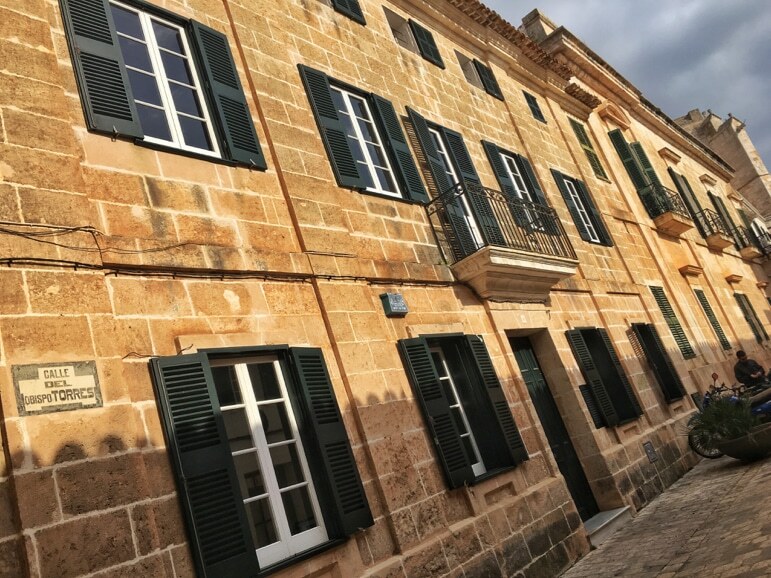 Ciutadella you see was founded by the Carthaginians and was once Menorca’s capital – its centre of commerce and culture, and was known to the Moors as Medina Minurqa. After the Turks invaded the island in 1558 much of the old town was destroyed. 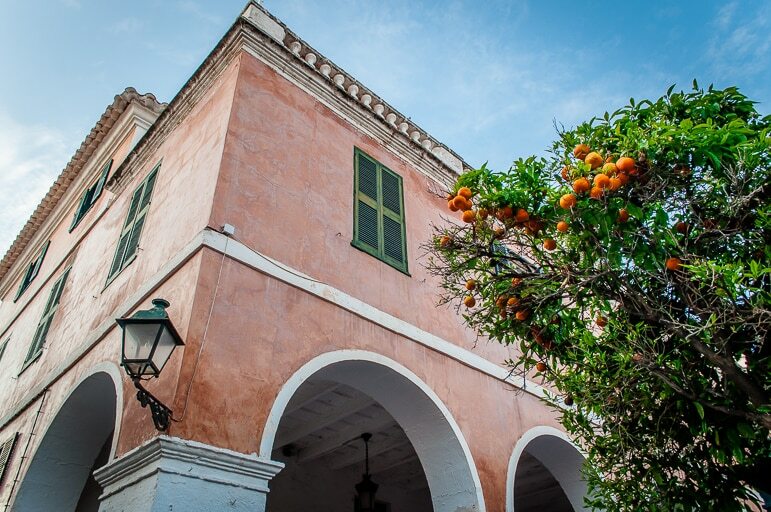 But it was then rebuilt in the 17th century and enjoyed its time in the limelight as Menorca’s capital until the British moved the capital to Mahon in the early 18th century. 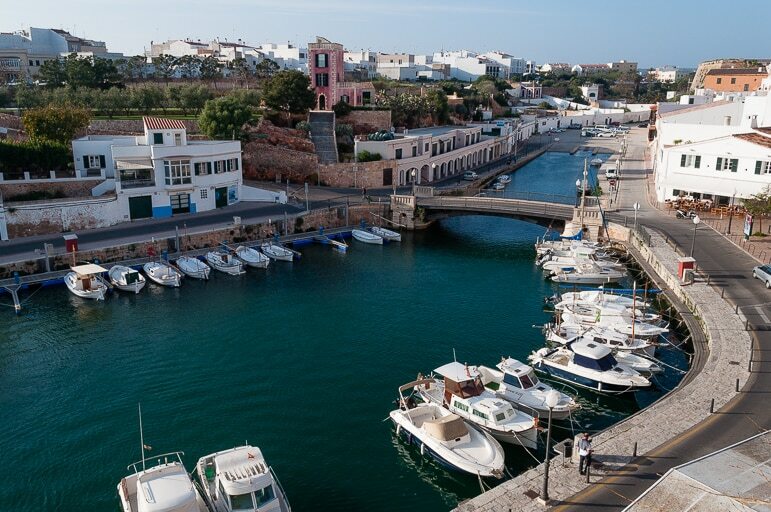 Menorca’s history of invasion and rule, destruction and rebuilding can be seen in the architecture and features of the buildings that line Ciutadella’s squares and harbour. It’s a city of Moorish archways and hands of Fatima door knockers, then there’s the straight lines and columns of its Italianate structures. And in the heart of Ciutadella’s old town is a Catalan-gothic cathedral, built on the foundations of a mosque in the 14th century. But it isn’t just the history or architecture that draws me in with Ciutadella. 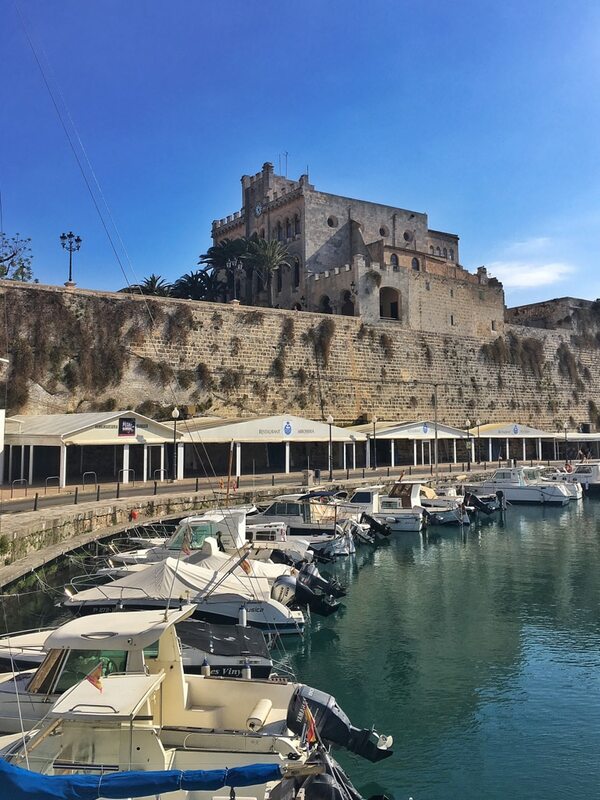 It’s a charming city – said to be one of the most beautiful in Spain – from its meandering harbour dotted with boats, to the harbourside restaurants and cafés that encourage you to sit a while and watch the sun shimmer over the sea. Heading up cobbled steps lined with shops selling Menorcan originals like their famed sandals, left me torn. I could sit in the harbour for days, but this was my second time in Ciutadella, and I knew exploring the old town also had its rewards. The old town though also had something else – something much more difficult to describe. 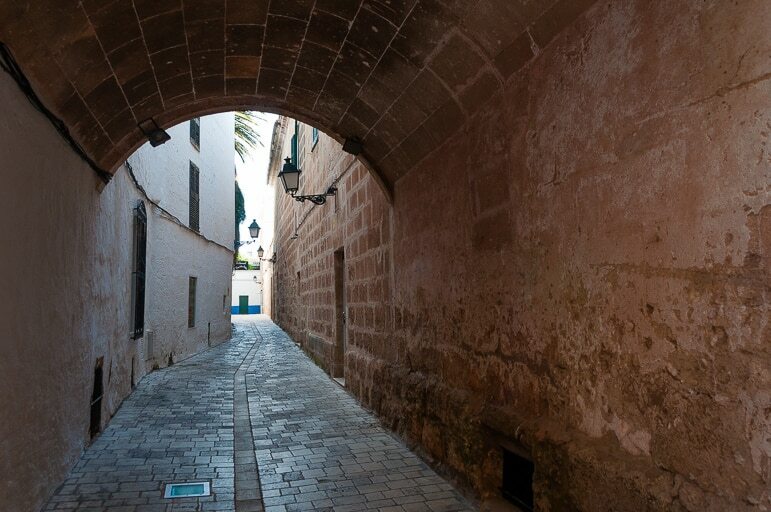 It’s a sense of well-being and relaxation – it’s as though time has no meaning in a timeless town, and so Ciutadella allows you to enjoy its history with every step. You can lose the map, wander away from the main avenues and squares and lose yourself in age-old streets until you’re all but alone, soaking up the atmosphere. 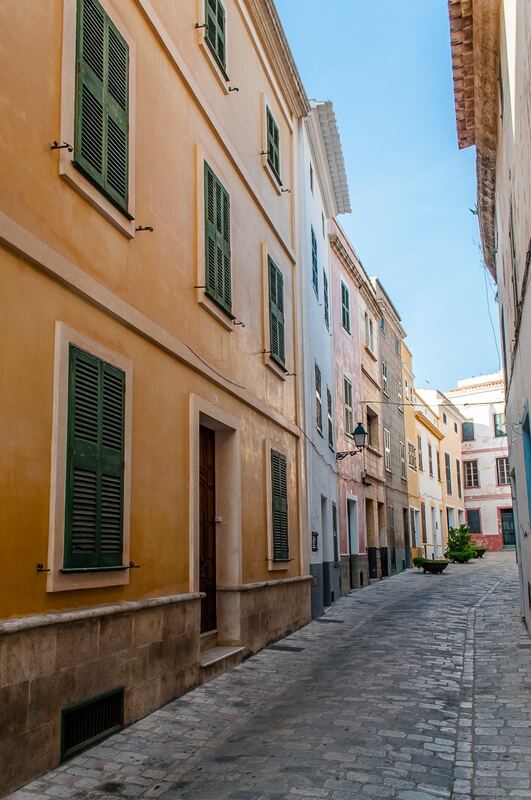 As it coaxes you further into its grip you live and breathe Ciutadella’s story through its pastel coloured homes and stately buildings. It then enlivens your other senses with the peel of cathedral bells, and the sweet scent of oranges that hang from trees in its back streets. 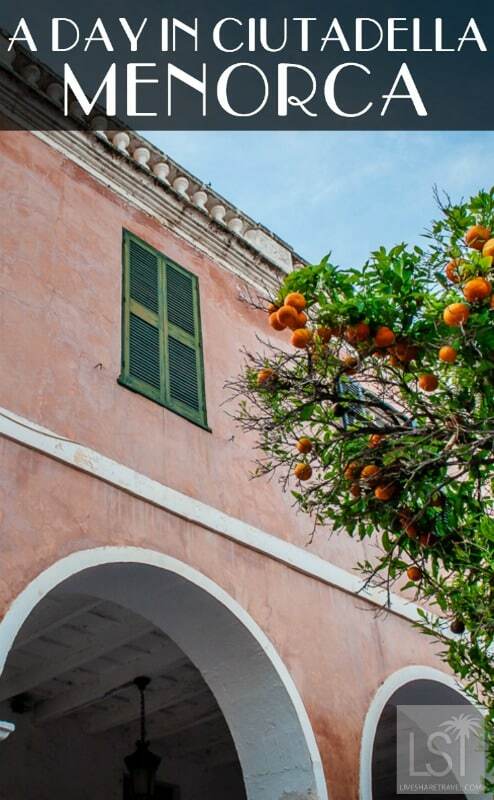 Ciutadella also maintains a number of Menorca’s traditions. Under the arches of Ses Voltes restaurant I learned about a local condiment that’s become famous all over the world. The French may claim mayonnaise as their own, but Menorcis say the clue is in the name and that Ma(hon)naise was first made here. 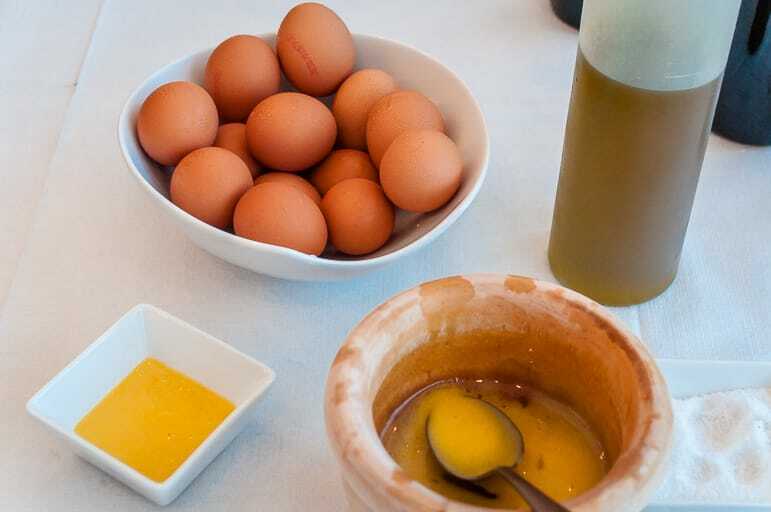 Using fresh eggs, a little olive oil and a good, strong whisking arm, Ses Voltes’ chef Tolo Carrasco showed us how it was done, whipping up a beautiful looking sauce in seconds. After dinner at the restaurant, I headed on to Plaça des Born for more of Menorca’s treats. After stopping to take in the harbour once more from the wonderful viewing point behind the town hall, I headed to a delicatessen to pick up some local foods to take home – fuet salami and some of Menorca’s artisan cheeses. Finally I hit Bar Imperio to toast Ciutadella in the most Menorcan way possible – with a pomada. This gin and lemonade mix is a popular refreshment on those hot Menorcan days, and Bar Imperio serves it iced, like a slushy, in small glasses to give you just enough of a hit. 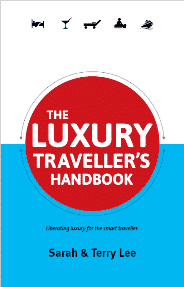 As the lemoney island-made gin enlivened my palate I reflected on a day in one of my favourite places on the island. Yes, Menorca’s beaches are lovely. 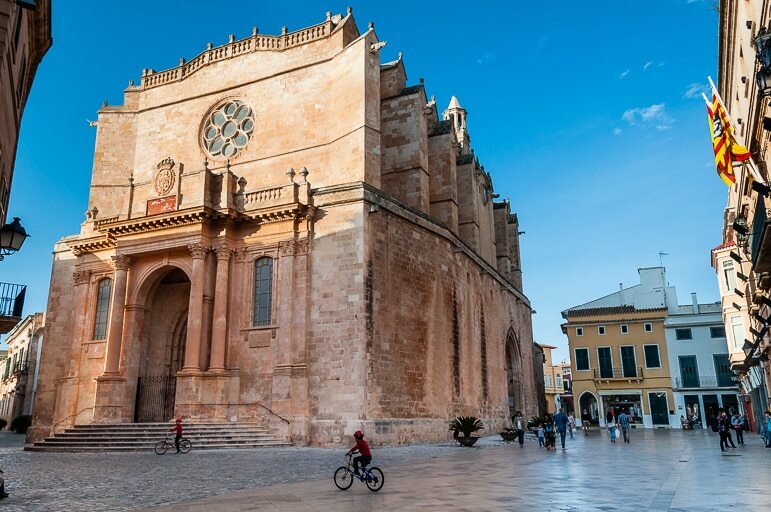 But this grand dame of a former capital with its arcades, archways and winding cobbled streets is a perfect place to soak up Menorcan life, culture, and history – and enjoy its tranquility and hush.